Worship bass lesson teaching Chris Tomlin's How Great Is Our God. 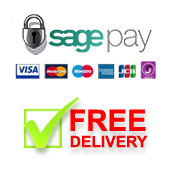 Buy all 12 Advanced Bass lessons at the same time and a 25% discount will be applied at the checkout. All techniques taught for use on both 4 and 5 string basses. Bass parts created and taught by top session musician Matt Weeks, whose credits include Matt Redman, Tim Hughes, Chris Tomlin, Brian Doerksen, Paul Baloche, Graham Kendrick, Vineyard Music and many others. In these lessons Matt teaches the exact session parts he created on many of the original recordings of these songs. 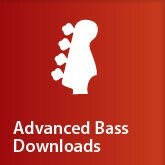 I really like these advanced bass downloads, where I can buy a little at a time, and get them instantly via download. Much preferred to waiting for the DVDs to arrive. I love the Musicademy style of learning, and these bass lessons in particular have given me a lot of ideas, using octaves, scale progressions and rhythm changes that can be used in tons of other songs. Don't think that you are just learning the particular song listed, the ideas learned can be used in many other songs, worship or otherwise.